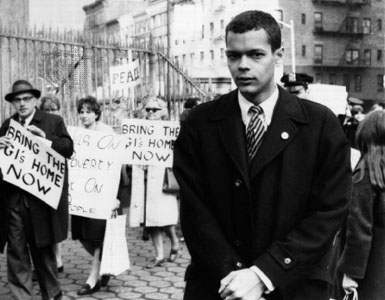 Julian Bond lived a life on the frontline for social justice. When he died this past Sunday at the age of 75, he left behind a long list of accomplishments and a legacy of defending the rights of human beings. Each leg of his work was weighty and every step he took made a significant impact. He accomplished more in his lifetime than many. As I reflected on the life of this civil rights icon, I remembered all of the freedom fighters in our history, now gone, but who have left a page in the history books. They worked tirelessly against the grain of the majority and every victory came with a price. The names of Marcus Garvey, Dr. Martin Luther King, Jr., Fannie Lou Hamer, Malcolm X, Ida B. Wells, W.E.B. DuBois, Dorothy Heights and Carter G. Woodson come to mind. There were many more however. They were all fueled by a common interest: They desired freedom, justice and equality for us all. These men and women took different paths to this goal and used a variety of platforms to keep the cry for freedom fresh on the minds of all who would listen. Their personal sacrifices weren’t always recorded. They didn’t win every battle. Jobs were lost. Spouses left them. Friends died. Amenities were few. The price of freedom came at a steep price and sometimes drove them to their human limits. When I think of Julian Bond and the many others, I think of their selflessness, sacrifice, determination, passion, bravery, steadfastness and commitment. I think of their resume of service to humanity. I also think of the love they had for their people. I think of the hope they had for this nation. I think of them often. I am honored to be a recipient of their labor. May you rest in peace Julian Bond and may we continue the remaining pages in the history book of America. Long before we knew of Barack Obama, I always thought Julian Bond would be our first Black President. He was that significant! Yes he was. I have heard him speak before, but regrettably didn’t get a chance to officially meet him.